Designed to enable one man to knock any size stake, peg or post into the ground, up to a 4” diameter. 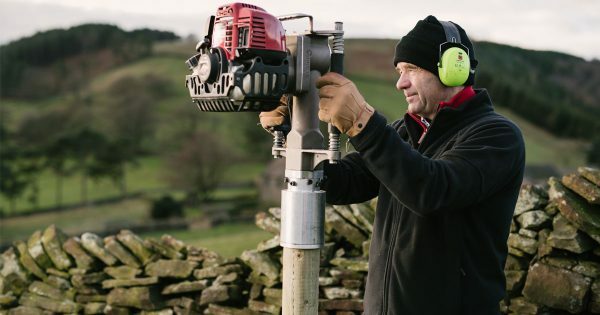 The high impact hammer action of 1720 BPM will drive a post into the ground in a matter of seconds, with the power pack being the ultra-reliable & compact Honda GX35T 4-Stroke Engine. Please note; this Multi Kit DOES NOT include the 78mm Sleeve from the CHPD78. 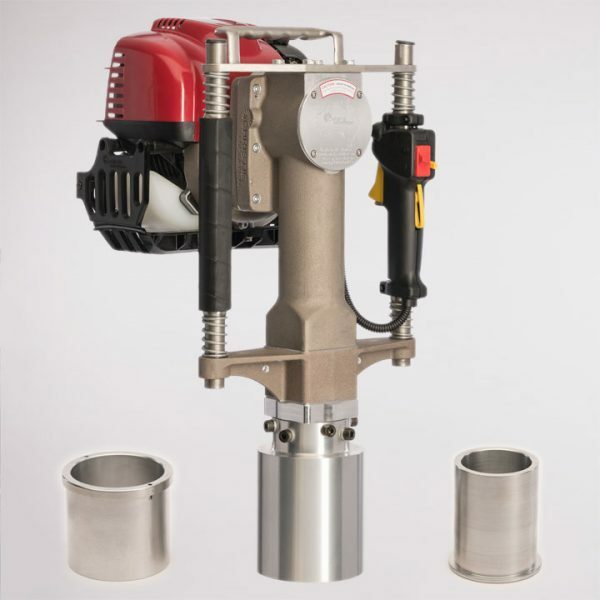 – The maximum capacity of the machine is 4” round diameter. – Our largest adapter is 107mm internal diameter. – When the ground is very dry, compacted or stoney, you will need to make a pilot hole for posts larger than 78mm. 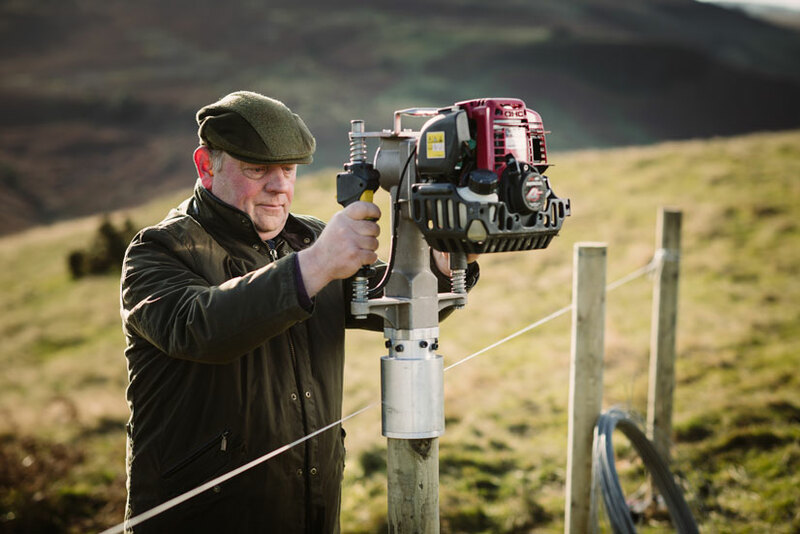 This can be either by hand using a Pilot-Bar, or mechanically using either our Pilot Core Tool or a mechanical earth Auger. Posts smaller than 78mm should not need a pilot hole. Ground conditions of Clay or Chalk may also require this method. 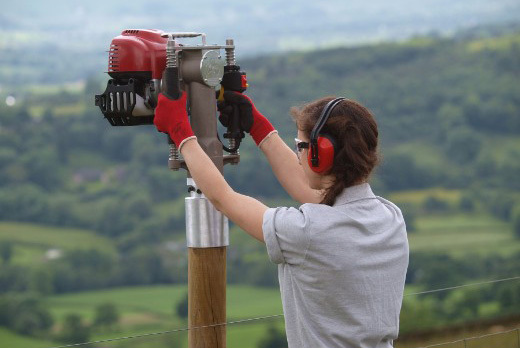 – To get the most effective use from the Post Driver, the Adapter size must be a snug fit for your Posts. We recommend the Adapter must be no more than 5mm larger than your Post. 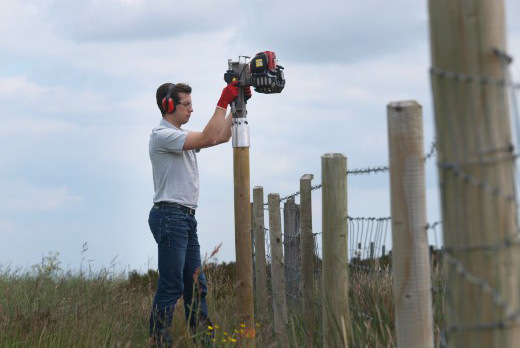 For shaped posts; squares / t-shapes etc the outer corners need to be within this capacity. – If you are unsure what adapter are right for you, please contact us for advice specific for your application.